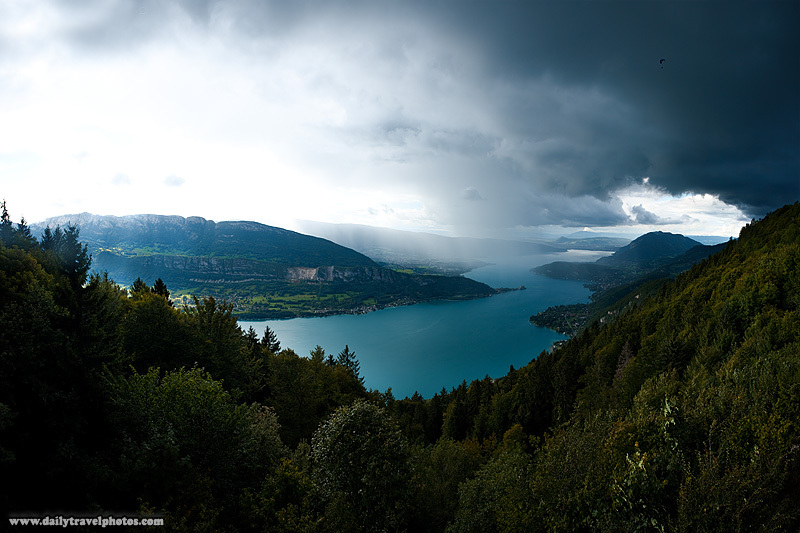 A paraglider braves storm clouds for a fly in the sky over Annecy Lake. 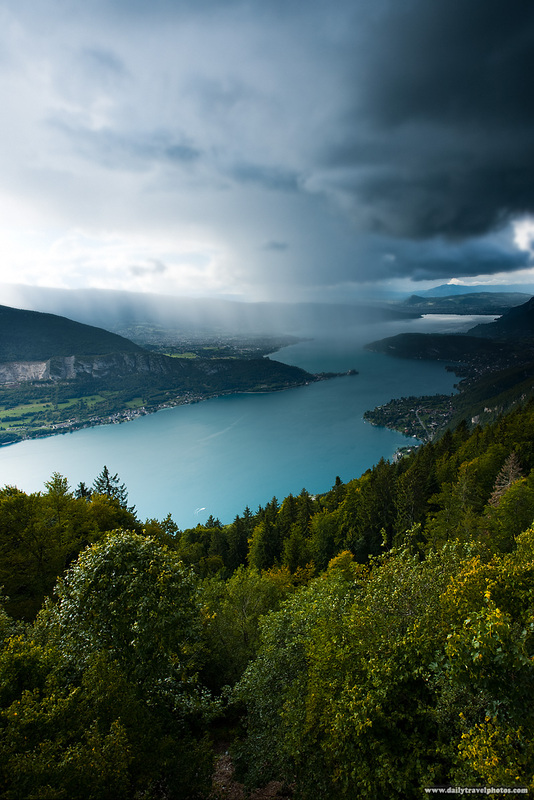 A tiny hamlet, Col de la Forclaz, on a mountain surrounding Annecy Lake, provides this breathtaking view of a large portion of Annecy Lake, the second largest lake in France. On a technical note, the photo above is an experimental composite of 2 sets of panoramas (stitched from 6 photos per panorama). One of the stitched panoramas provides detail in the highlights while the other reveals detail in the shadows. The two panoramas were then layered, aligned, then masked to reveal the properly exposed portion of each layer. A boater U-turns on a stormy afternoon on Annecy Lake. Technical note: I'm experimenting with a new technique to reduce noise and artifacting in the deep shadows of an image. Otherwise, this image is a simple composite of two bracketed exposures, layered then masked in Photoshop.